Air Canada Vacations Spotlight Collection | UNIGLOBE Direct Travel Ltd. Recently launched, Air Canada Vacations’ Spotlight Collection offers more than 50 popular properties throughout Mexico and the Caribbean, many of which can be directly accessed via gateways in Western Canada. 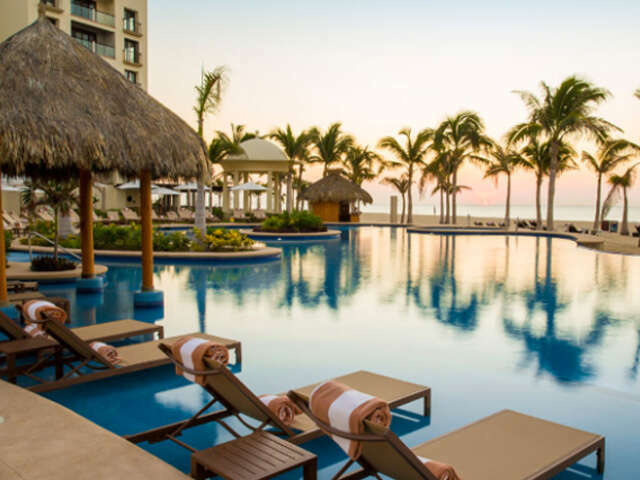 Recently launched, Air Canada Vacations’ Spotlight Collection comprises more than 50 popular properties throughout Mexico and the Caribbean, many of which can be directly accessed via gateways in Western Canada. Each resort in the collection offers a variety of exclusive perks such as extra à la carte dining, superior in-room amenities, bonus Aeroplan Miles and other VIP services. From Nov. 29-Dec. 18, clients who book select packages to Mexico and the Caribbean will save up to $1,000 per couple. ACV’s service to Mexico and the Caribbean is operated by Air Canada and Air Canada Rouge from three gateways in Western Canada, including Winnipeg, Calgary and Vancouver, as well as connectors across 64 cities.